Coupons are valuable from a merchant’s perspective because they can increase sales, inspire customer loyalty, outperform the competition and sell products faster. If you have a Shopify store, using Zipify Coupon Countdown can help you achieve all that. 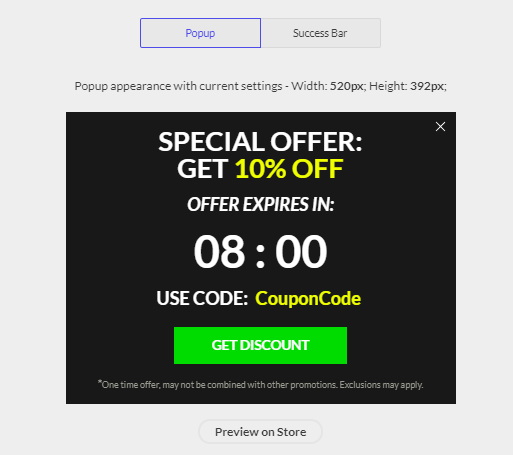 Zipify Coupon Countdown lets you add timely coupon codes for your store which pop-up when and where you want it. Keep reading to learn how you start using coupons to incentivize purchases on your store and increase your earnings. To use Zipify Coupon Countdown, you need a Shopify Store. If you already own an account, simply login to your store and go to the next section in this review. For those of you that don’t have a Shopify Store, getting started is quick and easy to do. To install with Zipify Coupon Countdown, just go to Zipify.com, select the plan that best suits your needs, follow the simple instructions and enjoy their strong 30-Day 100% Money Back Guarantee. Don’t worry about the price ($9.00 per month), when you install Zipify Coupon Countdown, you receive a 14-day free trial. On the next page, you’ll be asked to enter your credit card information. You will not be charged and if you’re unsatisfied before the end of your 14-day trial, you can cancel your subscription, risk-free. To continue with the installation of Zipify Coupon Countdown, you must approve the charge on your credit card. Remember, you can cancel this at any time during your 14-day trial to avoid charges. Voilà! Zipify Coupon Countdown is now installed on your Shopify store. You’re ready to create your coupons and watch your sales explode. Now that you have Zipify Coupon Countdown set up with your Shopify store, let’s look at how to create your first coupon. You’ll need a name for your trigger. If you plan on creating different types of triggers (i.e. 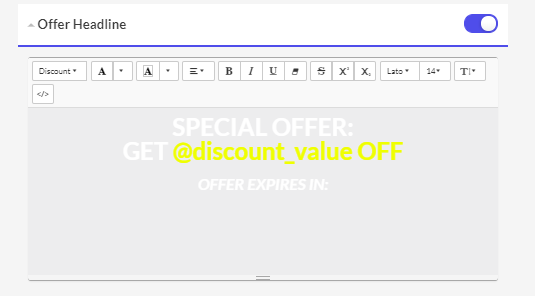 Limited Time Coupon, Coupon Offer On Exit, etc.) you should use a name to identify each trigger and how it works on your page. 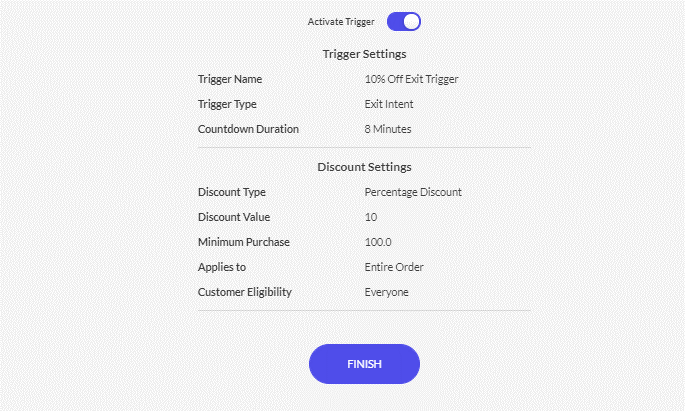 iii) Exit Intent – Allows you to set a trigger just before a visitor exits your store. 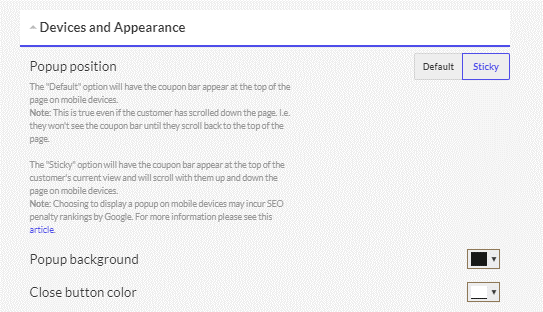 Now it’s time to design the desktop appearance of your coupon as a pop-up or success bar on your store. 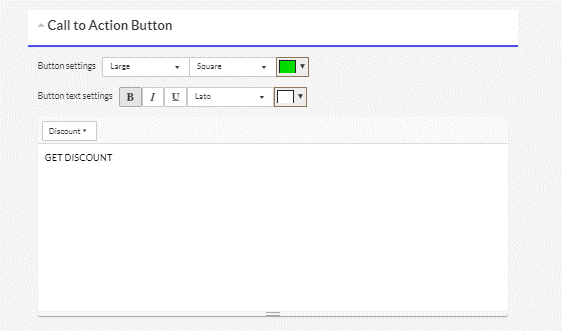 To the right of this are all the settings to adjust the style of your coupon. Countdown Timer Clock – Allows you to set the duration and font style for your timer. 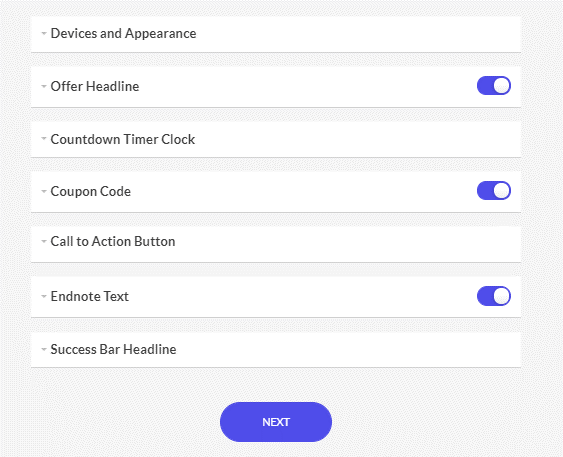 Call to Action Button – Allows you to create an eye-catching button for visitors to receive your coupon. 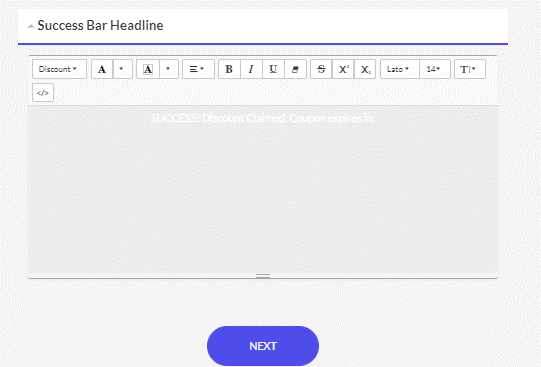 Success Bar Headline – Allows you to create custom text to confirm that your coupon has been received. 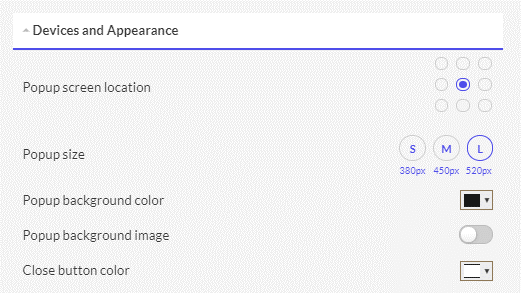 The settings you used from your desktop app will be applied to the mobile appearance as well. If you want to make some changes, use “Custom” to adjust your mobile coupon. In the “Devices and Appearances” setting for your mobile coupon, you change the pop-up to “Sticky” which keeps the coupon on the page as they scroll up and down. The final step before activating your trigger is to review everything then click “Finish”. If you’re satisfied with your coupon, you’re ready to put it to work and let your visitors save on their shopping. Your subscription can be cancelled at any time. If you cancel before the end of your billing cycle, you can still use your coupons until the very end. If you’re really unsure about using this, remember that Zipify offers a 100% No-Risk Promise (30-day money back or 14-day free trial). So you should have no reason not to get started and see if coupons can be effective for your store. Undoubtedly, Zipify Coupon Countdown has the potential to generate more sales or encourage first time visitors to make a purchase. Coupons have always been an enticing way for shoppers to take advantage of a discount to save money on their carts or receive a special promotion such as free shipping. Also, if there’s a lot of competition in your product niche, offering a discount or some other benefit to your customer can give your store one more reason to be their top shopping destination. Customers love keeping more money in their pockets and coupons are the way to do it. 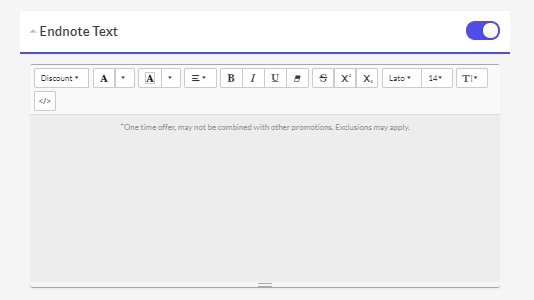 Another benefit that Zipify Coupon Countdown provides is an easy-to-understand analytics report telling you how much money you’ve earned using coupons. This can be very helpful when creating marketing strategy to boost sales even more. Right now, it is difficult to find any drawbacks to Zipify Coupon Countdown. Perhaps having to use your credit card to enjoy the 30-day Money Back period or start the 14-day free trial might make you hesitate before getting started. 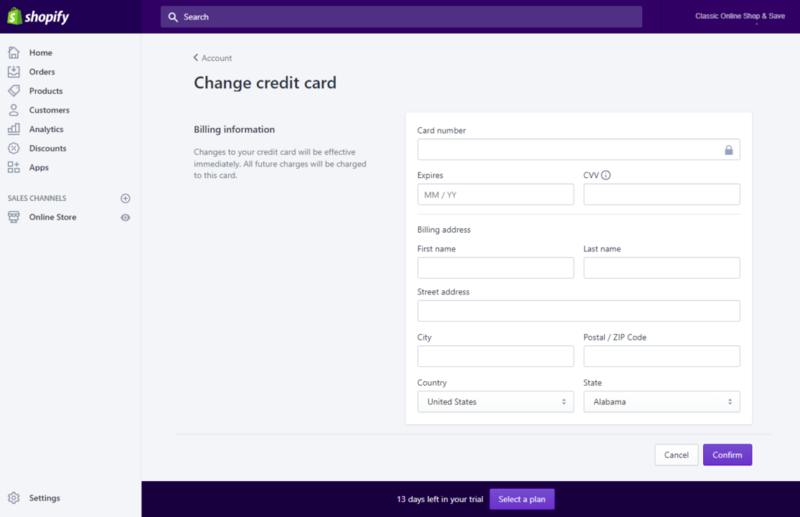 However, we have tested Zipify’s No-Risk Promise and it was a breeze to get a refund (no questions asked) or ending the trial (navigating to the Apps page and clicking on the garbage is all it takes). This should allow you to use all the features to start testing coupons that work for your store before incurring any irreversible charges. In all cases, subscription fees are only $9 per month. Not bad. Coupons are a smart marketing strategy to encourage store visitors to save money on their purchases. It makes their decision easier by providing percentage, fixed price, or free shipping coupons. Setting up Zipify Coupon Countdown on a Shopify store can be done in just a couple of hours or less. It won’t be long before visitors will be seeing pop-ups appear with special discounts to encourage them to stay and shop at your store. Given the potential upside to boost your bottom line, giving Zipify Coupon Countdown a try should be a no-brainer. Just make sure the rest of your shop is ready so you don’t pay the subscription fee until you know it can be immediately put to good use for your audience!